Sophia was intrigued by other cultures. 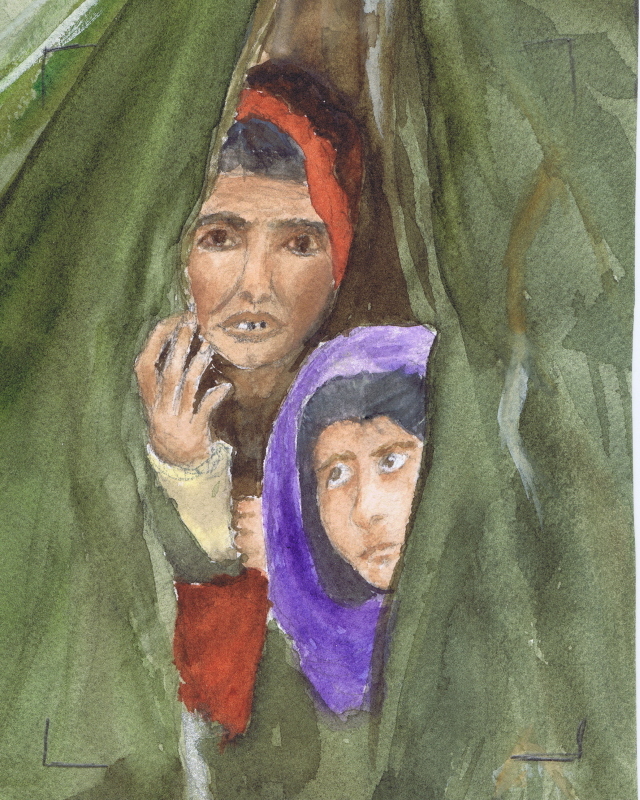 She saw a photo of Pakistani women pearing out of a tent and wondered what they might be waiting for. Food? Freedom? Their children to return? Perhaps her curiousity about what her subjects where thinking in feeling contributed to her remarkable artisit ability to convey a story behind her paintings.